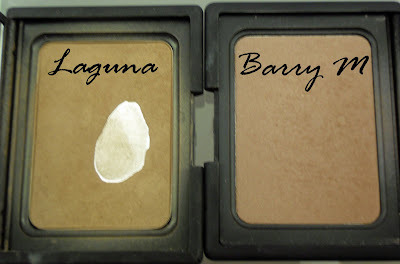 B U B B L E G A R M: Barry M Bronzer Review! Hey bronzer lovers :) I was lucky enough to be sent this from Barry M, and boy am I glad they did! I now introduce to you my new found love... 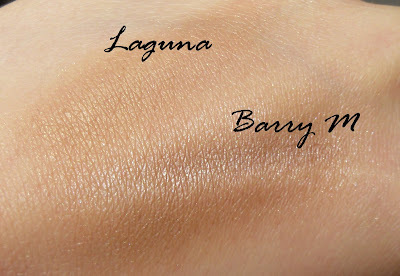 The Barry M natural dazzle bronzer! When this is compared to my other bronzer love "Prestige Glam Tan" I would say that it's totally different, as the glam tan gives more of a golden glow, this doesn't - this just bronzes and gives you the I've just had a holiday look. So, if your thinking - I already have Glam Tan. do I need this? The answer is yes.. if you want your features to be more defined as the colour is deeper. The texture of this bronzer is very silky and finely milled thus making it easily blendable. You can see me wearing it here! Let me know your views on this, feel free to ask any questions. Looks so much prettier than the Laguna! !More natural and glowy!At last something new,everybody was "stuck" with the nars one!I havent used a bromzer but i would love to test this!!! @Krystallia its gorgeous :) It's refreshing to have something new! It's definately much prettier than Laguna.